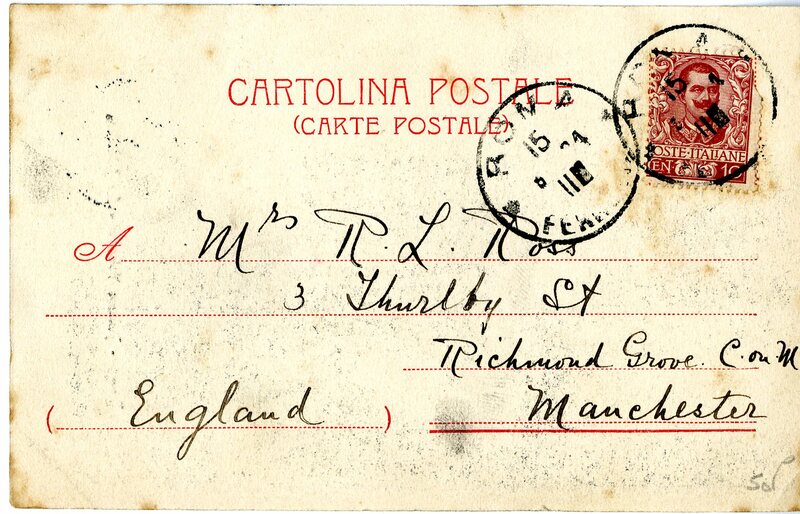 In June 1904, Mrs Ross of Manchester received a postcard from Rome. In other words, Passages in… was not written to provide an objective chronicle of events. 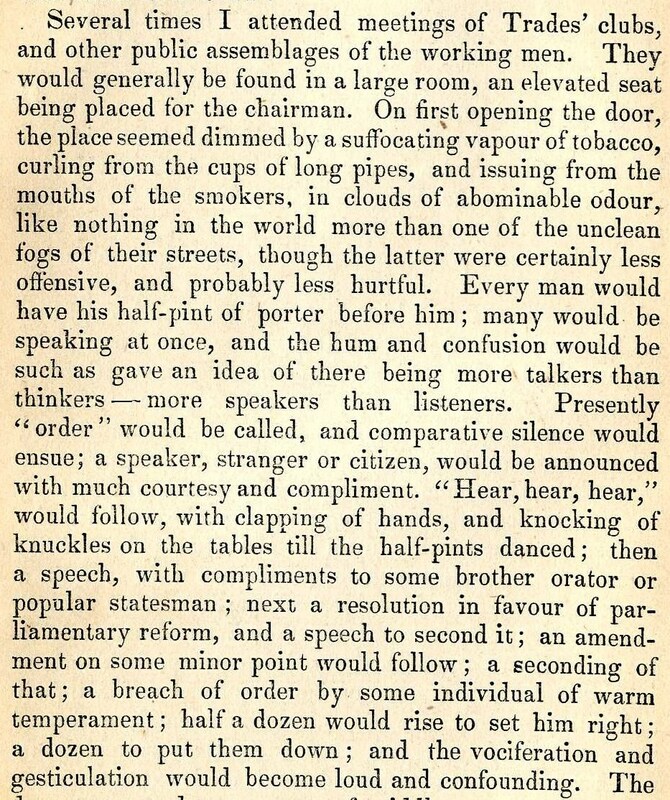 Parts of the text are didactic or polemical in tone and content. 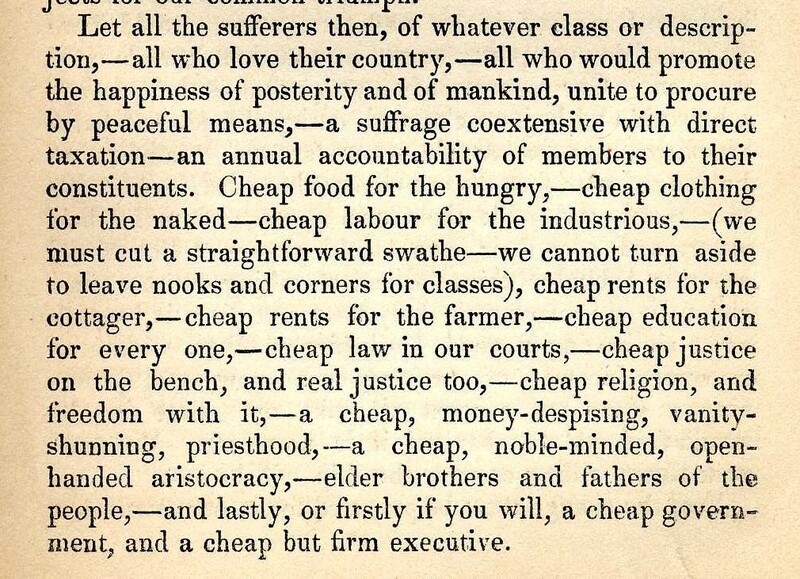 At one point, Bamford launches an impassioned appeal for a more egalitarian society (‘cheap food for the hungry, – cheap clothing for the naked…cheap rents for the farmer, – cheap education for everyone…’). 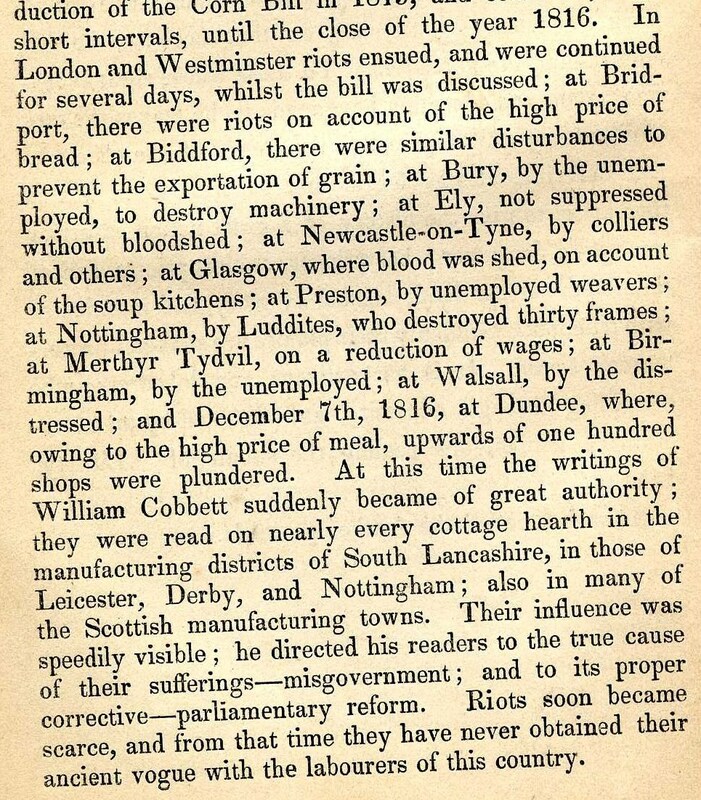 Elsewhere, Bamford provides an overview of the unrest that was spreading across Britain’s industrial towns and cities. The factors causing this were unemployment, the high price of basic foodstuffs and the limits of the franchise: at this time very few people had the right to vote and power remained in the hands of a privileged and wealthy elite. 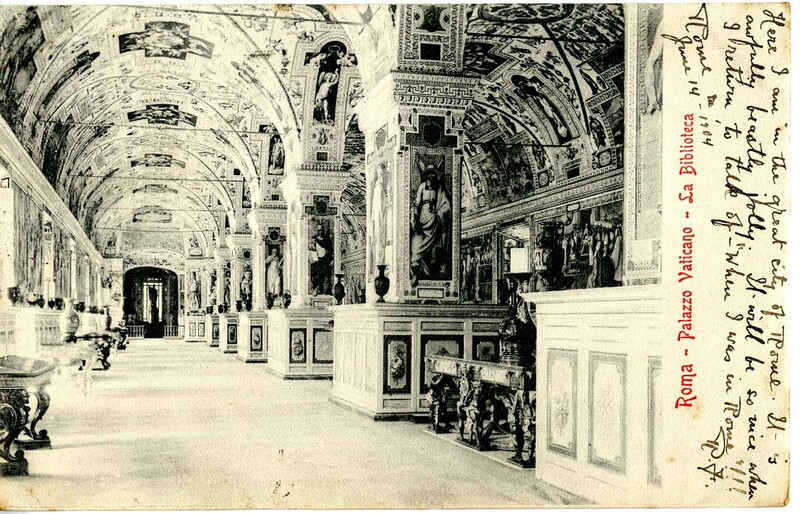 Within a few short moments of panic and mayhem (‘in ten minutes from the commencement of the havoc, the field was an open and almost deserted space.’) fifteen people were killed and more than 400 wounded. Roughly a quarter of those wounded were women. 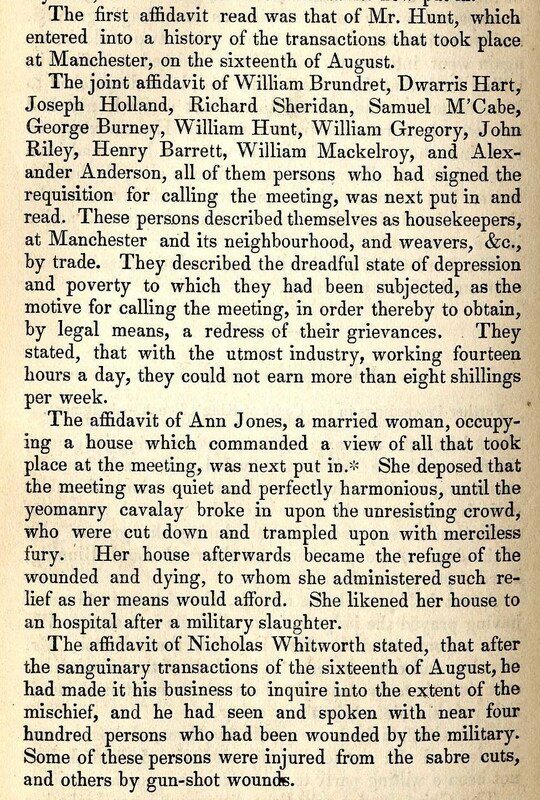 You can find out about the Peterloo Massacre and the campaign to recognise the sacrifice of the pioneer campaigners for justice, equality and voting reform here. 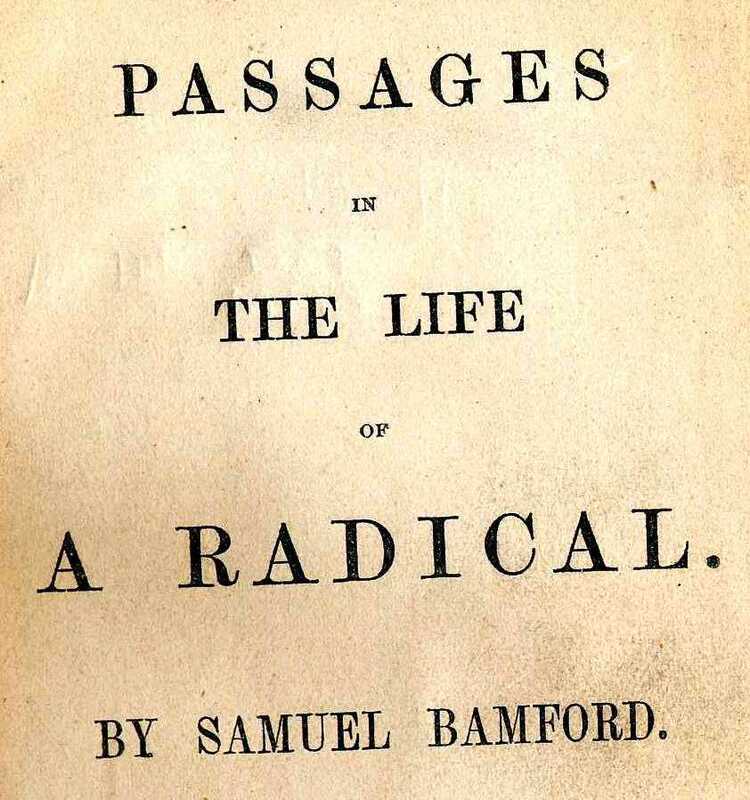 To read more about Samuel Bamford, click here.